FREE resources for home schooling. 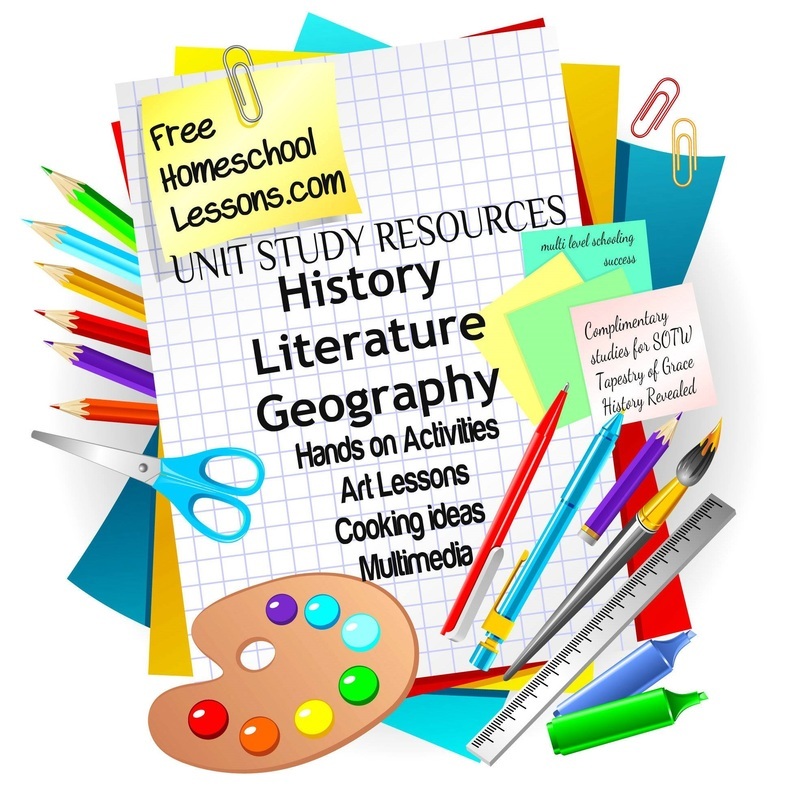 As a home schooling mom of many, I gathered FREE resources for our home school curriculum that includes hands on, art based, biographical and chronological history. I sprinkled in some literature and science lessons and even an entire semester on World Geography. The results are amazing! My children are engaged, engrossed and love to learn! 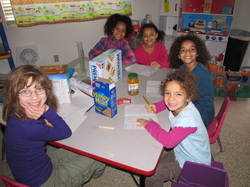 These unit studies are ideal for a large family, home school co-op or even after school programs. They are well suited for ages 6 to 13. This website is CONSTANTLY being updated with new discovered free home school resources. These are units we have used for the school years 2013 to the present. I use free home school lessons as my personal storage. Even with delight directed studies take us on rabbit trails we have our 'main course' ready and waiting when the timing is right. Please enjoy these resources, share them with others. Spread the word how inexpensive and rewarding home teaching your children can be. 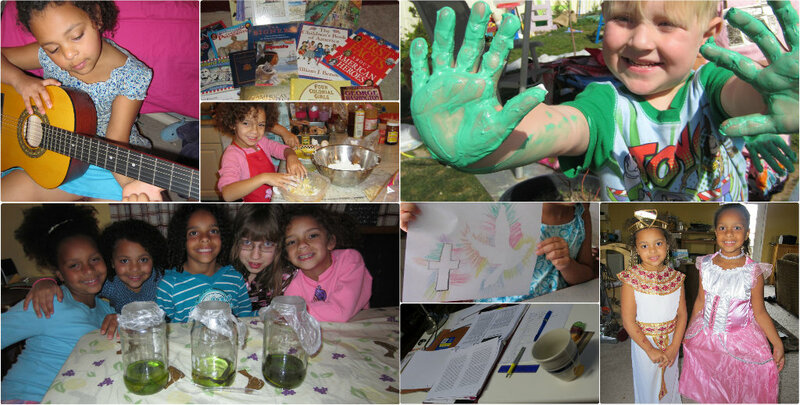 I created my own free home school curriculum in an attempt to keep my children fascinated by history, art and science. It allows me to follow those rabbit trails that appear in 'delight directed education' in an safe and easier manner. And to avoid Common Core. Why? I polled home schooling families from the various communities on Facebook. Here are answers from Christian homeschooling families, Single moms homeschooling, those schooling middle and high school students. Besides crowded class sizes and having each and every child conform to what the states feels each child should learn and be...For us it's about getting out and about without the confinements of walls and state rules. It's about opening to possibilities, about finding learning opportunities around every corner, and about having the 'luxury' of making the kinds of community connections that are sustaining and enjoyable. It's about exploring the world with open eyes and minds, trying new things, going new places and meeting new people. Those are just some of the reasons why we homeschool. the advantages are clear when you don't have a school district dictating the hours and days the child must be 'schooling'. You have the freedom to take vacations, attend community functions and allow the child to participate in extra activities such as dance, and competition without getting behind in schoolwork and missing class lectures. Class sizes increase, teacher demands increase create classrooms that aren't conducive to every learning style. Even the very best and most talented teacher in a public school setting has to teach to the 'middle of the class' leaving behind students and dragging those who excel into boredom. A homeschool parent can teach their children to their learning styles and encourage interests - which creates a lifelong love of independent learning. Families grow closer together while learning and growing together. The lack of peer pressure is replaced with positive family relationships. Tracy says...So someone in my family started in on my homeschooling today saying that it is not an educational issue, but a control issue. I am trying to "control" my children. It felt like an insult at first, but now that I think about it, I guess he's right! The power to influence or direct people's behavior or the course of events. Determine the behavior or supervise the running of. Yep! My husband and I do all of that. Us. The two people on earth that love them the best. Not a bunch of people who don't share a belief in Christ. Not a bunch of people who don't truly love my children. Who is in control of me? Christ! Well, at least when I let Him. In the world of education, I am taking control of the information and resources my children are provided. I am taking into account their past experiences (good and bad), their own unique nature and their natural talents. I am using my time, energy and resources and pouring it into each individual child, helping to shape their work ethic in a way that is suited to their individual nature. Heidi says... I don't want someone else's influences raising my children AND I want the best education that is correct for each individual child on each of their levels. Our 5 children have always been homechooled and they like it. I think the biggest realization comes for them when they see how much they can do in a day outside of the regular homeschool work while other children are still locked away in a classroom for hours. They also like being able to learn about what interests them, where they want (the backyard or even the park), and having the freedom to learn about God and how he relates to everything. They also are not acting like mini-teens with “boyfriends/girlfriends” in 1st grade, dressing immodestly, and kissing as early as Kindergarten (as several of my friends’ children have done). Was it hard at first? No, but that is because we’ve always done it. Nothing changed when our children turned 5, we continued learning as a family. They have not switched their family interdependence for peer and teacher dependence. I pulled my children from the public schools because of so many reasons...many of which had to do with children getting put on the wrong school buses, school politics, and even losing a child. That first year...Was it hard at first? Oh My goodness…YES!!!!!! Our lives up to that point were filled with school, work, activities, and anything else we could cram into a day. I basically did a family detox from life other than inside the home. For a whole year we barely covered anything other than us. We all had to learn who we were as our own self, a family, a brother, a sister, a mom, and a dad. The first year was unbelievable. I learned so much about my children that I never knew and am still learning to this day. Each year when we re-evaluate our plans for the upcoming year I sit down with the children and ask them their thoughts, opinions, and general input on our school year. I also always ask if they would like to return to public school. The answer is always a NO WAY MOM!!!! We like it just fine right here. I am always so relieved to hear that because I know the Public School system isn’t all that it’s cracked up to be.